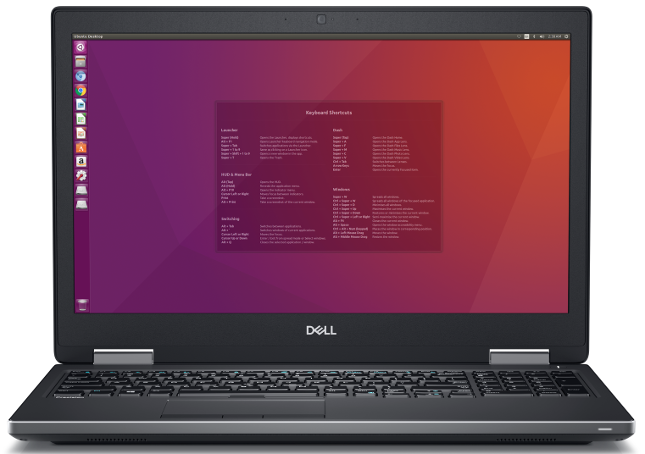 Back in May, we reported on several Ubuntu Linux-powered Dell Precision "Developer Edition" mobile workstations that would be released in 2018. At the time, only one of these laptops was available for purchase -- the Precision 3530. Of course, the needs of all Ubuntu users cannot be met with just one machine. Thankfully, starting today, two more of these laptops become available for purchase. The Dell Precision 7530 and 7730, as they are called, are 15-inch and 17-inch laptops, respectively. "When it comes to pure power, these machines are unmatched. In fact, the 7730 is also the first AI/ML ready mobile workstation available on the market. Both models feature 8th generation Intel Core and Xeon Processors with up to 6 cores as well as AMD Radeon Pro and NVIDIA Quadro professional graphics," says Canonical. The Ubuntu-maker further says, "The latest Dell Precision Developer Editions are available with up to 128GB of system memory and SuperSpeed memory of 3200MHz, up to 6TB of PCIe SSD storage on the 7530 and 8TB on the 7730, as well as single cable docking and Thunderbolt 3 connectivity. Additional add-ons and configurations include an external eGPU chassis, a larger battery, and the option to upgrade to a 4K UHD IGZO display with 100 percent color gamut." If you want to buy your own such laptop, the 15-inch 7530 can be had here with a starting price of $1,091.14. The 17-inch 7730 is found here -- its beginning price is higher at $1,371.37. Keep in mind, the default operating system is Windows 10, so you must manually select Ubuntu. This will lower the starting price -- bye, Windows tax! By default, both models come with an Intel Core i5-8300H processor, 8GB of RAM, mechanical hard drives, and Intel graphics. As you can expect, upping the specifications will increase the price. If you decide to upgrade just one thing, be sure to move from a HDD to a SSD -- you'll be glad you did. From there, you should adjust the rest of the components based on your needs. Will you be buying one of these Dell Precision laptops? If yes, with what specs will you configure it? Please tell me in the comments below.